The Kwara State chapter of the Peoples Democratic Party on Sunday said It had no hand in a case filed against the state governor-elect, Alhaji Abdulrahman Abdulrazak, accusing him of allegedly forging his West African Examinations Council’s certificate. The party made its position known in a statement in Ilorin by its state ublicity Secretary, Tunde Ashaolu. It said instead of accusing the PDP of being behind the suit, the All Progressives Congress should advise the governor-elect to defend himself in court. 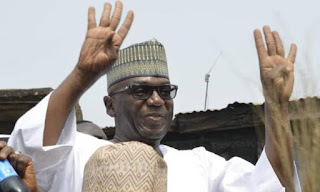 The statement read in part, “Our attention has been drawn to a fictitious comment made by a chieftain of the All Progressives Congress in Kwara, accusing our party, the Peoples Democratic Party of blackmailing the state governor-elect, Abdulrahman Abdulrazaq, with the certificate forgery scandal he is enmeshed in. “This accusation is not only false but also laughable, as the PDP has no link with the development. There is absolutely no basis to accuse or blame the PDP for Abdulrahman’s certificate forgery case which is currently before an Ilorin High court. “The claimant is not a member or official of the PDP and in fact, has no established connection with the party. We then wonder why anyone in his right senses would choose to blame or link the PDP with the court case.